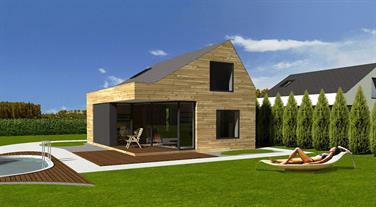 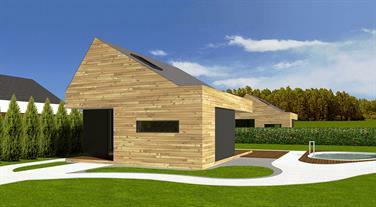 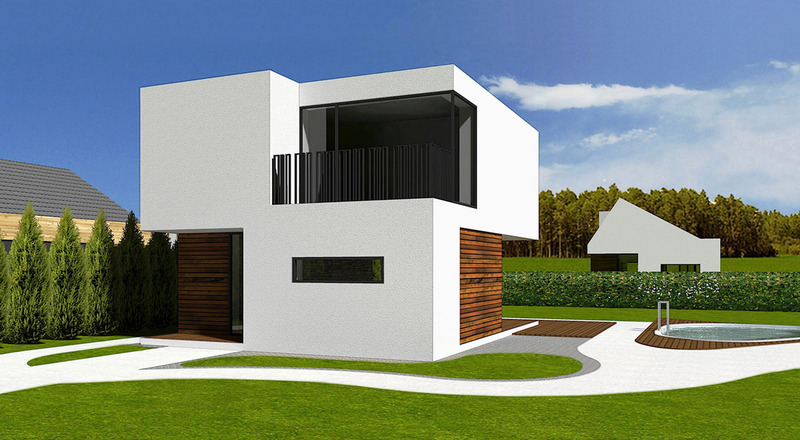 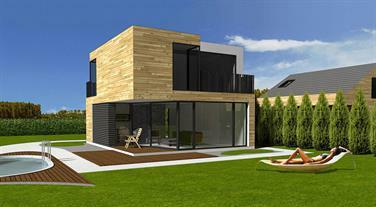 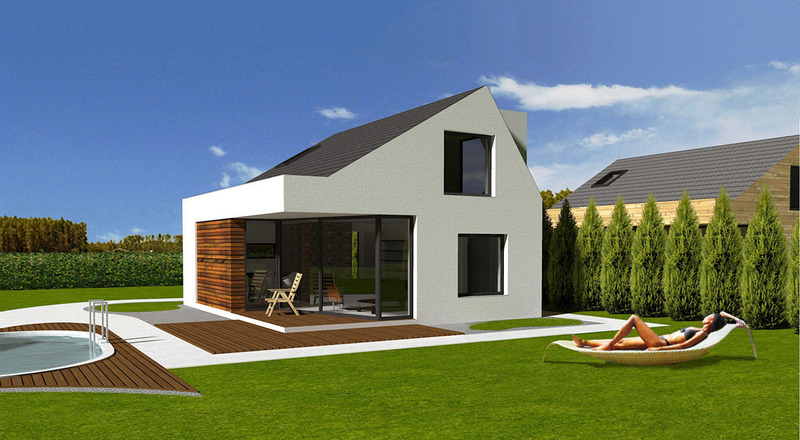 The proposal places several smaller houses near the lake Vojka, each in diferent material option with sloping or flat roof. On the ground floor, there is traditionally the day zone with living room and terrace facing towards the lake. 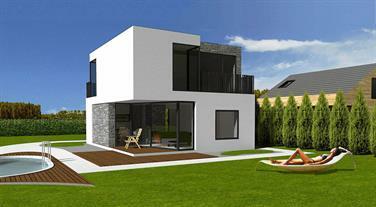 Upstairs you can find private zone with two bedrooms and bathroom.